Hypozin contains a very high concentration of zinc oxide, as opposed to zinc ointment (zinc salmon contains only 10% zinc oxide). The zinc oxide component has an invasive effect and provides protection against the action of body fluids (urine and stool in the stall). The balanced formulation of the main components ensures the specific action of Hypozin. - Fight algae and mold. Prevents unwanted reactions with the raw materials by removing metals and acids from the water. Reduces the risk of bacterial spoilage. Glycerin added to medical preparations to achieve a smooth or softening effect. 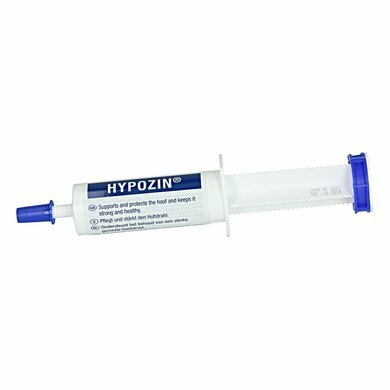 Hypozin contains 100 grams of product per injector. This is sufficient for a treatment of 3 to 4 weeks. This ensures a consistent quality of the product. In order to treat rootstock, the radius must be cleaned first. The rotting parts of the horn should be cut away, preferably by a hoofsmith. 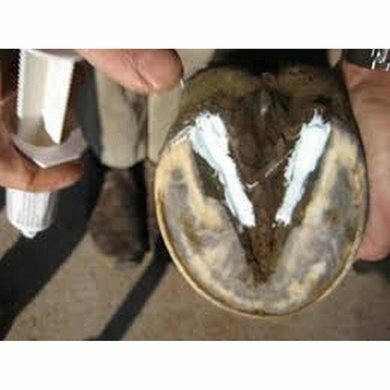 The opening of the rotting site is important, as this reduces the growth of airbiting bacteria that cause root rays. Then apply a layer of Hypozin to the cleaned jet. The treated part will dry and also be disinfected. Repeat daily repetition until satisfactory results have been achieved. Works very well with a horse with poor rays. In addition, you also use it for quite a long time! super nice stuff! 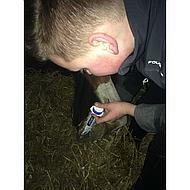 very handy syringe with dosing ring. works fast. all for this price. 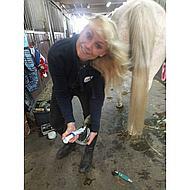 Our one horse is quickly bothered by rock jet, thanks to this product we can make his jet healthy again in no time. Easy to use. It helped my horse very well, he got rid of it. But he didn't have that much trouble either. Fortunately, I was quick. But it certainly helped. Great stuff.! Question: I was told that Hypozin is also used against mug with very good results, is something known about that? Answer: This is indeed true. Because the Hypozin also works against this in practice, Hypomok is developed on the basis of Hypozin. The disadvantage of the Hypozin as mug ointment was that it was not good to spread and also dries dirty. This has been remedied with the Hypomok. An additional ingredient has also been added to the Hypomok to treat sensitive skin.